Earlier this week, Halo developer 343 Industries confirmed when the Halo 5: Forge map creation tool is going to be released for PC. Forge is going to be out in September. The map creation tool will allow Halo 5 players to make new maps and levels on their PCs while also being able to host and play custom multiplayer matches in Halo 5. 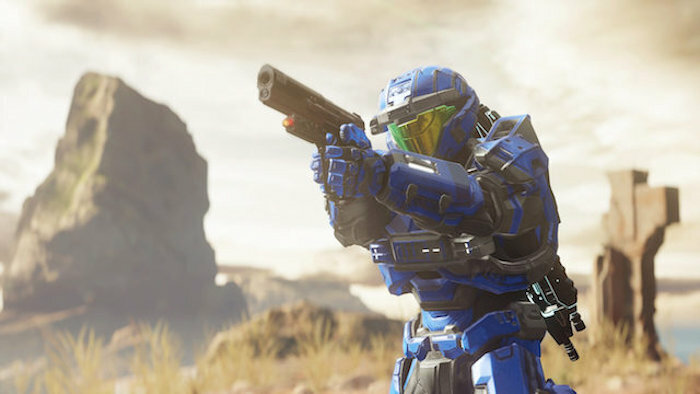 Now 343 Industries has revealed the PC specifications required to run Halo 5: Forge. Read on to find out what they are and see if your rig is up to it. THE Minimum requirements for Halo 5: Forge include a 2.3GHz Intel Core i5 or equivalent AMD processor with 8GB RAM, 40GB HDD space, a GeForce 650 Ti graphics card, and Windows 10 Anniversary Edition version 1607 or later. Specs recommended to run Forge in 1080p at 60 frames-per-second include a 3.4Ghz Intel Core i5-3570k or equivalent AMD processor with 12GB RAM, 40GB HDD storage, GeForce 970 graphics card with Windows 10 Anniversary Edition version 1607 and up. If you want to run Forge in 4K resolution at 60 frames-per-second, you will require a 3.4GHz Intel Core i7-4770k or similar AMD processor with 16GB RAM, 40GB HDD space and GeForce 980 Ti graphics card with similar OS. Now you know what you need to play, so you can get ready. Halo 5: Forge will be released for Windows 10 PC on September 8th.